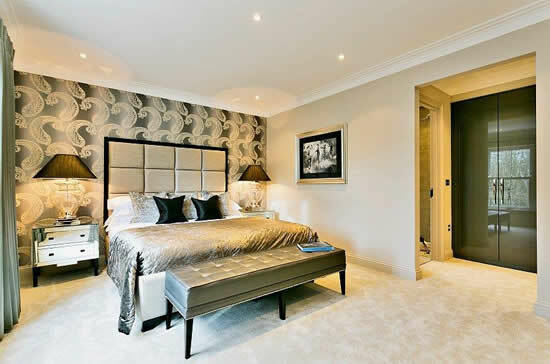 The bedroom should be a place of peace and tranquillity where life slows down and you can fully unwind and relax. 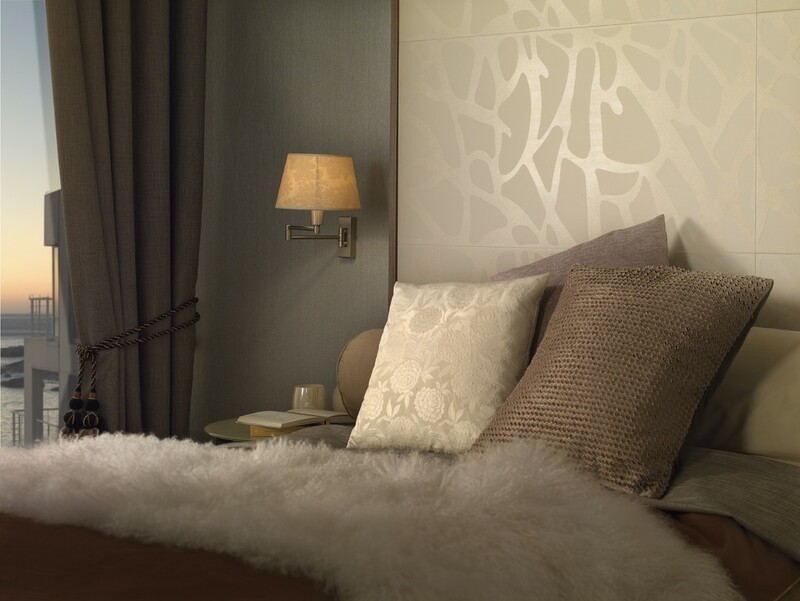 Our bedroom designs are tailored to meet individual requirements and maximise the space available, giving you a timeless, stylish look. 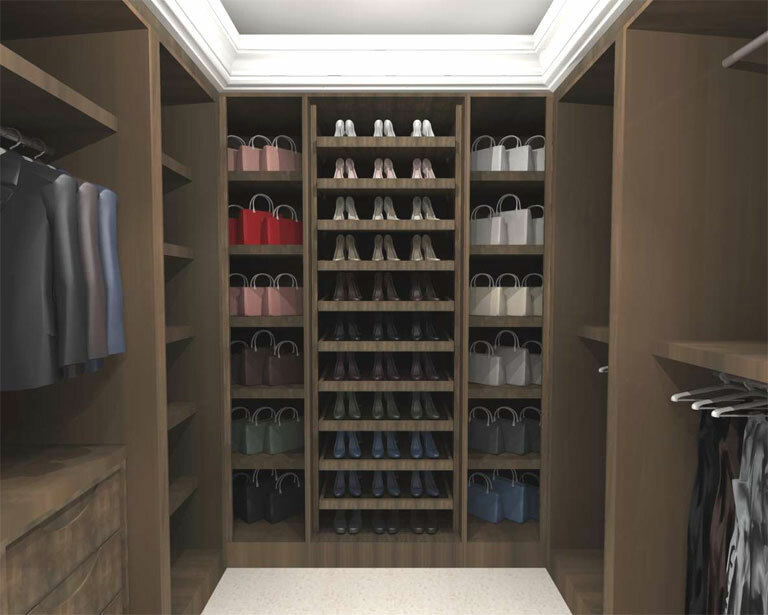 Concept will design your bedroom or dressing room with an innovative use of storage space, designing your bedroom to include stylish yet functional wardrobes to make sure everything can be easily stored out of sight, ensuring your room does not look cluttered. 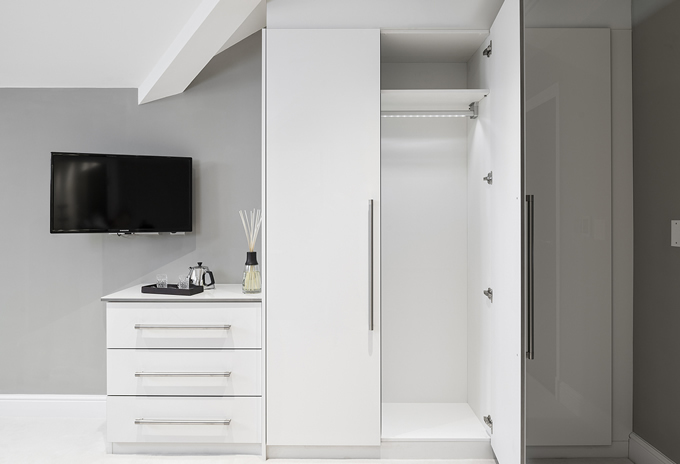 We can design wardrobes to the most awkwardly shaped rooms, for example sloped ceiling areas or reduced ceiling height areas, making sure they sit flush with the walls and look perfect. 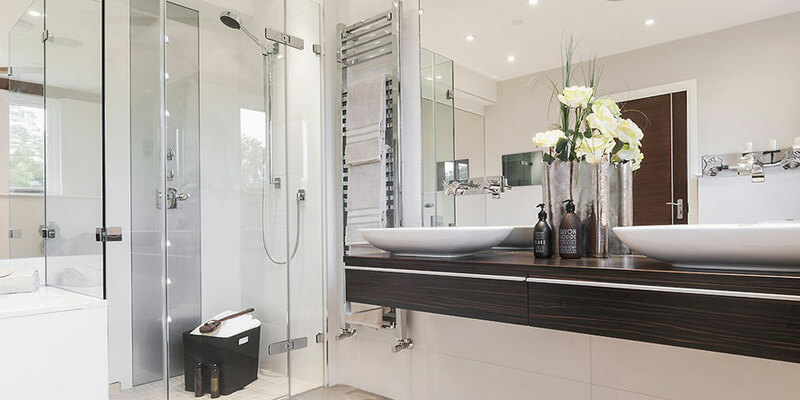 This also ensures we use the space optimally, making the most of the available room and designing it so it looks stylish but also functions well on a practical level. 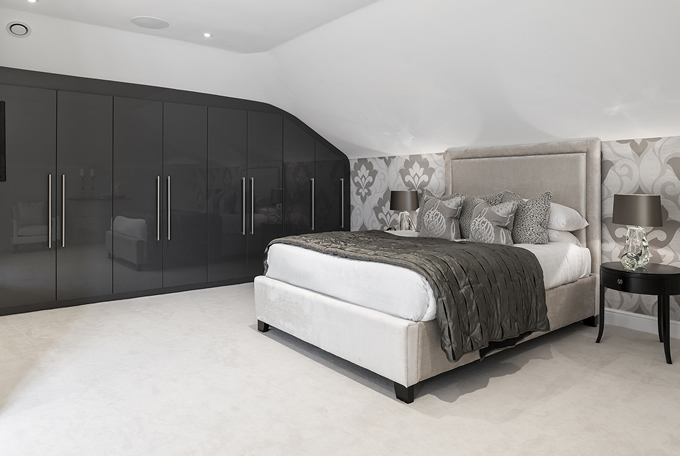 We design luxury wardrobes to your requirements, and can incorporate contemporary modern features, such as these chic, elegant wardrobes with lighting that comes on as you open the door- a simple element that can make all the difference in helping your bedroom to work for you. 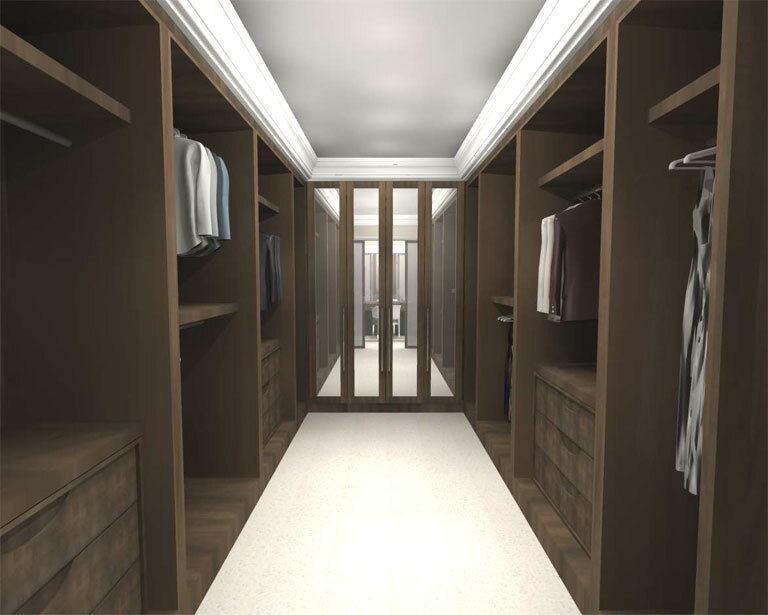 Your clothing is illuminated by a row of low-energy LEDs along the hanging rail, making life flow a little smoother and a little easier. 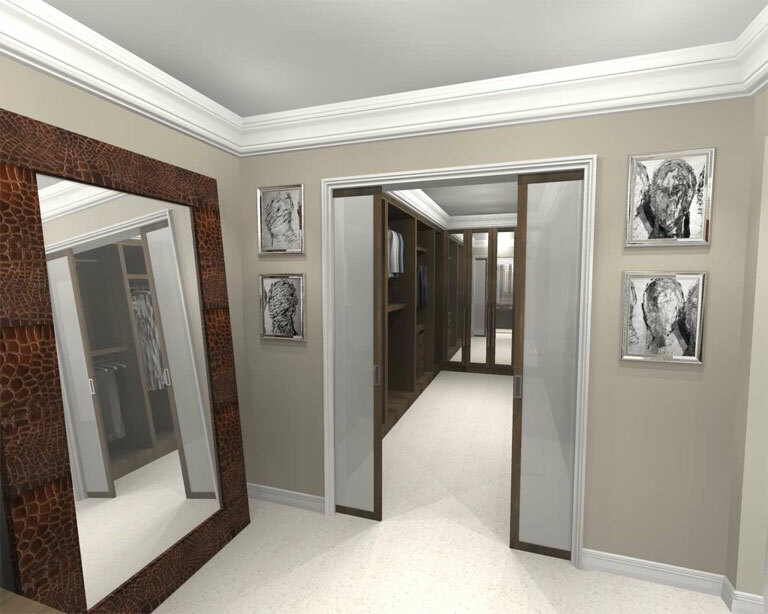 To book a design consultation, please call the design team on 01628 777122 or you can email your room sizes and dimensions through, at your leisure. 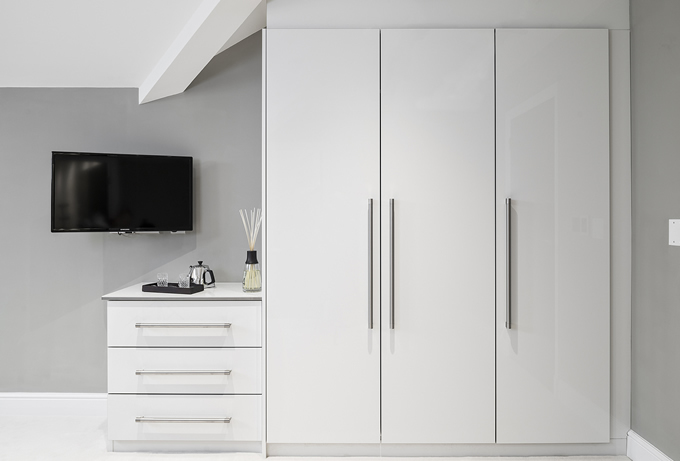 Concept Virtual Design has received a perfect score from a mystery shopper review by KBB Review, who described our Maidenhead showroom as “classy” with “friendly service – a winning combination”. 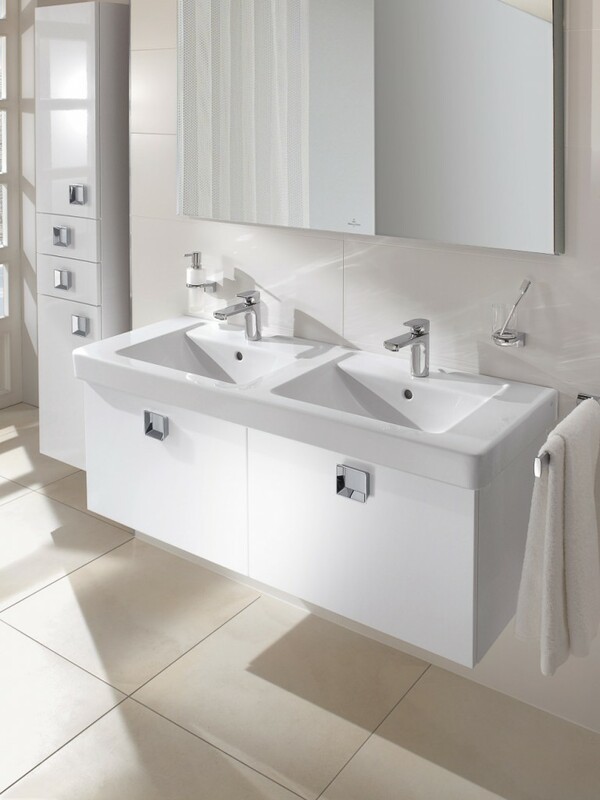 Kitchens, Bedrooms & Bathrooms Magazine is a leading independent reviewer of manufacturers, suppliers and retailers, and has been providing valuable objective advice for designers, architects and private clients for over 25 years. 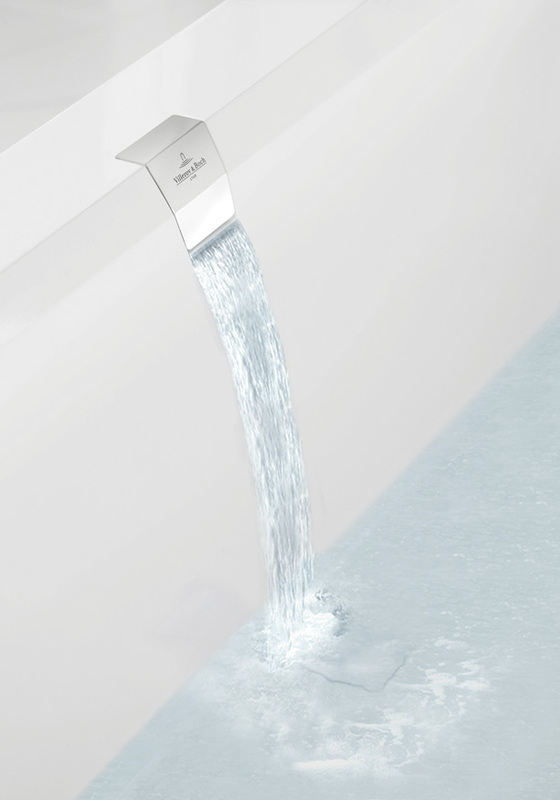 Winners of their monthly mystery shopper reviews are automatically shortlisted for the KKB Review Awards, which will be held in Birmingham in March, 2014. 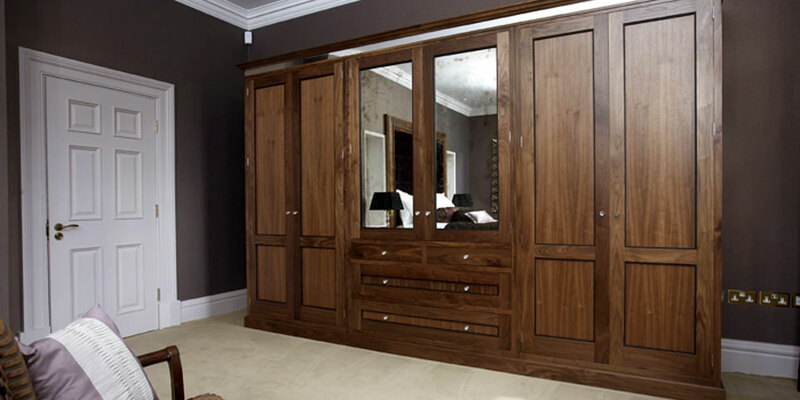 The reviewer who visited the Concept Virtual Design showroom said she had never given a 10/10 rating before and that our attention to detail was evident in our displays and the customer service she received during her visit. 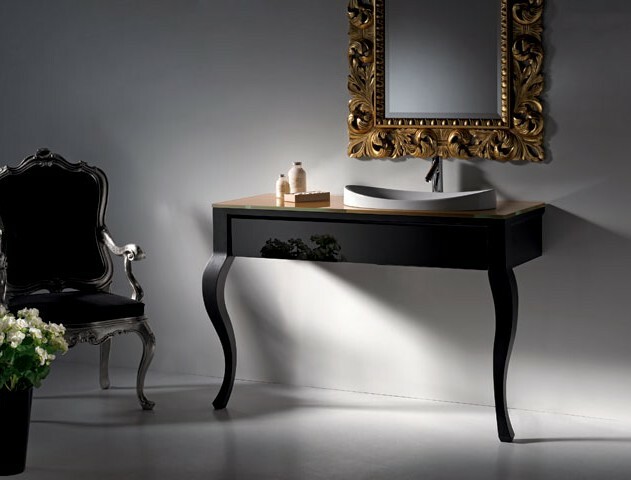 From its black painted exterior to its imaginative window displays, this Villeroy & Boch bathroom showroom enticed me in. 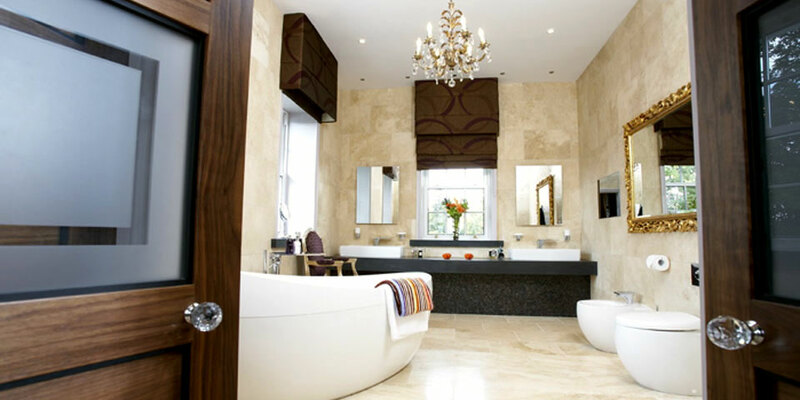 There was a circular bath in the window with a gold mosaic walk-in spiral shower behind. 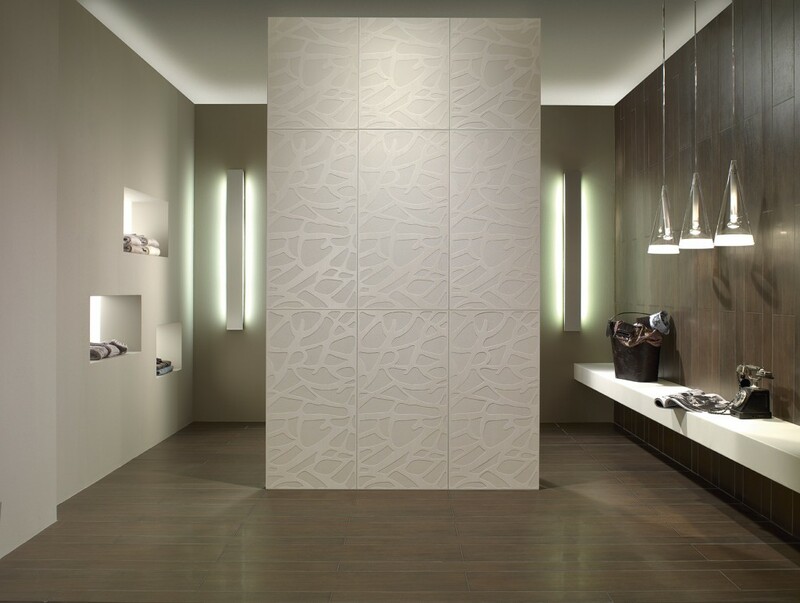 Further in, I found more examples of showers and baths, plus a separate room showcasing Art Linea basin options, including console and wall-hung models all set against silver crocodile skin wallpaper. Frank Sinatra crooning softly in the background underlined the classy presentation. We’re thrilled that the mystery shopper from KKB loved our showroom, and we like to think it’s certainly not run-of-the-mill. 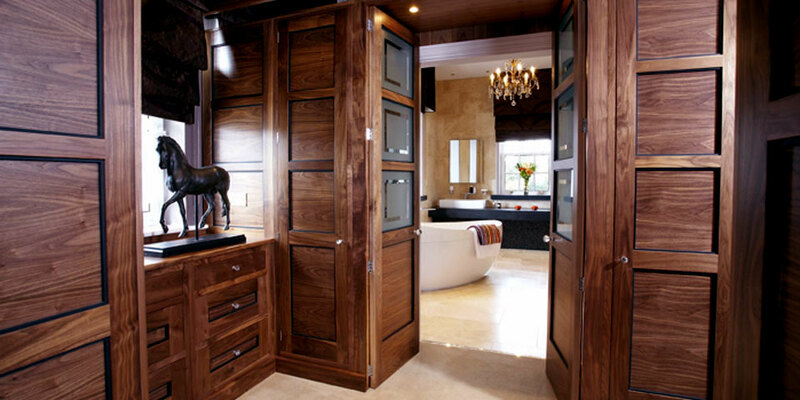 We invest time and attention to all our customers, some of whom we have long-term business relationships with, letting them know that we are serious about their business and their individual projects. 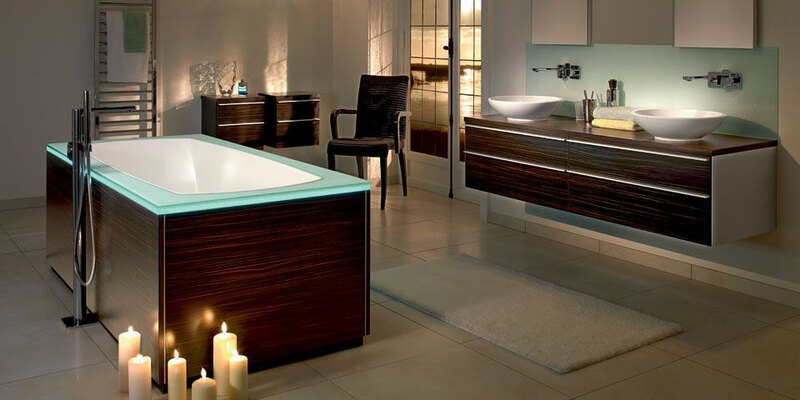 Concept Virtual Design works with luxury developers, architects, and private clients to provide exclusive interior design services and high quality products and fittings for bathrooms, wet rooms, steam rooms, bedrooms, and studies.